On the Saturday before the Orthodox Church commemorates Great Martyr Dimitry of Thessalonika (October 26/November 8), the Russian Orthodox Church has a tradition of serving a special service for the dead called the parastasis on Friday evening, and the a Liturgy for the reposed with a pannikhida (requiem) on Saturday morning. This tradition arose as a day to commemorate those soldiers who fell at the battle of Kulikvo in 1380. 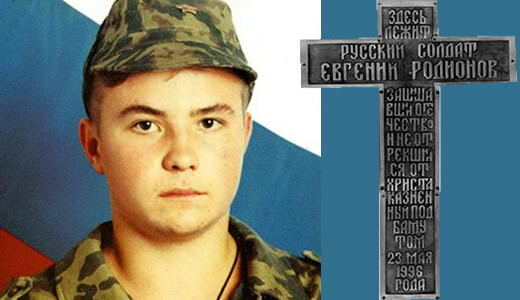 We thought it appropriate on this day to present the story of the soldier Evgeny Rodionov, who died a martyr's death in service of his country, and in defense of his Orthodox Christian faith. Shoulders back, chest out, the young soldier stands as if on parade in his camouflage fatigues—his boots polished his rifle at his shoulder, a halo around his head. His face is the blank mask of a man for whom duty is life. It is not easy being a soldier. Portraits of this young man, Evgeny (Eugene in English) Rodionov, are spreading around Russia—sometimes in uniform, sometimes in a robe, sometimes armed, sometimes holding a cross, but always with his halo. The portraits are iconographic, venerated in homes and churches where Private Evgeny Rodionov has become the focus of popular veneration in post-Soviet Russia and beyond. He is Russia's new unofficial saint, a casualty of the war in Chechnya and of Christianity’s continued defence against the Muslims, who has been glorified not by the Russian Orthodox Church but by a groundswell of popular devotion. Evgeny Rodionov was born on the 23rd of May 1977. He was baptised as a child—not because of any strong faith on the part of his parents, but because his mother was afraid for his health. A common superstition was to have a child baptised to ensure good health. His parents were typical Soviet citizens and thought rarely about God. After finishing his schooling, he found work at a furniture factory, where he made more money than his mother who was forced by their modest circumstances to work three jobs. Evgeny attended church services in an outlying Moscow suburb called Podolsk but it is not known to whom he confessed. In 1994 the family moved into a small 2-bedroom apartment. In 1995 Evgeny was called up to serve in the army. The Russian armed forces require all young men to serve a period of time in the armed forces. He followed an ancient pious Russian custom of wearing a belt embroidered with Psalm 90, and wore this when he entered the army. His mother, Liubov Vasilievna, recalled that Evgeny did not want to go, but felt that it was his duty to serve his country. He and his friends understood that there are things in this life that you do not want to do but have to do, and they had no thought of evading their military duty. His letters home were affectionate, filled with love and poetry. Upon induction into the army, Evgeny was allocated to the Border Guards whose main responsibility was border security, and found himself, with other young conscripts, sent to serve in the Russian republic of Chechnya where the Russian Army was fighting a long running war against Moslem separatists. The conduct of the leadership of the Russian armed forces in this conflict has been severely criticised for its ineptitude, lack of planning and failure to provide even basic equipment for their troops. On the night of the 13th of January 1996, Evgeny and some other young soldiers were posted, unarmed, to a checkpoint 200 metres from their base near the mountainous border between the republics of Chechnya and Ingushetia. The checkpoint, a control and registration post, was a small hut with no electricity and no method of communication back to their headquarters. It was situated on a road which was frequently used by terrorists and criminals for smuggling weapons, ammunition, captives, drugs and so on between the two republics. They disappeared. Officers at the base later reported at an official investigation that they heard the young soldiers screaming, but did not investigate, and later falsely reported to the divisional commander that the missing men had deserted and this lie was repeated in letters to the missing soldier’s families. Chechen rebels had in fact forcibly abducted Evgeny and his comrades from the checkpoint. They had commandeered an ambulance, which they drove up to the unsuspecting young soldiers, and then the armed rebels had leapt out, forced the conscripts into the ambulance and drove them off into captivity. A later army investigation revealed signs of a struggle and blood stains at the checkpoint, and as a result it was decided to upgrade security by moving the post away from the roadside and issuing weapons to the soldiers who manned it. Upon capture the young conscripts were held in the cellar of an abandoned house for 100 days as ransom demands were sent to their families. Kidnapping and demanding ransom was almost a cottage industry in Chechnya during that time. They kept Evgeny hanging by his wrists in a basement, starved and beat him. Rodionov’s ransom was reported to be 50 million roubles (1.6 million US dollars)—at the time an impossible sum. Another report says it may have been in the US$10,000 range. Whatever it was, the ransom was not met, his parents did not have that kind of money. Evgeny was held captive for three and a half months. The Chechens demanded that he remove the cross that he wore around his neck, deny his Christian faith and agree to become a Muslim to stay alive. Evgeny refused to renounce his faith. Having suffered indescribable tortures and torments, he did not betray his Orthodox faith, but confirmed it with his blood. Finally, on his 19th birthday, May the 23rd 1996 (new style), they sawed off his head. He proved that Russian Orthodoxy is still alive and that today, after many years of atheism, Russia still has the potential as it did before to beget martyrs for Christ. It wasn’t until a month after the abduction, on the 16th of February 1996, that his mother received an official telegram notifying that her son had absconded from his military post—in fact while she was reading this telegram his captors were torturing her son. Liubov, knowing her son, felt affronted by such an accusation, and wrote a number of letters in reply to the Border Guard division trying to convince them that her son would never desert the army. She was not believed, and so she decided to journey to Chechnya to find out the truth of her sons disappearance. Upon meeting Evgeny’s Lieutenant and the Commander she felt that they were indifferent to her anguish and the fate of her son. They recommended that she return home and not get involved. 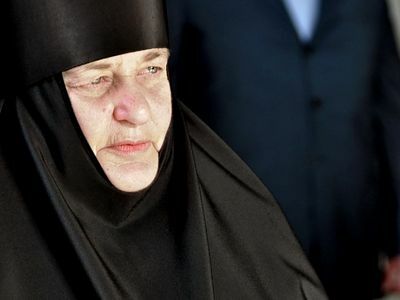 Instead, she ended up in the Russian region of Ingushetia, attending an Orthodox Church where the priest, Father Basil, offered her accommodation near the parish church. Here she received Holy Communion as a believer for the first time. 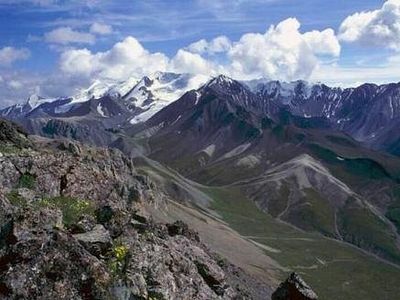 Liubov then set off travelling throughout Chechnya searching for her son, showing his photograph, asking questions and continually praying to God for help. Her journey, which lasted for ten months as she chased down leads and questioned anyone who would talk to her, led through minefields, aerial bombing, and the threat of bandits. She met other Russian mothers searching for sons who had been reported missing in action or having deserted, or been captured by the Chechen rebels, and she met mothers of sons who had been murdered by beheading. Liubov found the breakdown of normal society in Chechnya had led to such a levels of corruption, that everything was decided on the amount of money one was willing to spend. In September 1996 she finally met a Chechen rebel field commander named Rusland Haihoroev (also spelled Khaikhoroyev in some sources) who claimed to have knowledge of Evgeny. On first meeting him, Haihoroev told Liubov that her son had been killed during a Russian bombing raid. Liubov felt that he was lying, the man seemed very uneasy at her questioning, and he then told her that unless the Russians stopped their bombing, all Russian captives would be killed. Haihoroev later admitted that Evgeny had tried to escape but was unsuccessful, and that he had been given the choice—change his faith and take of his cross, or die—but Evgeny had refused to remove his cross. Haihoroev eventually beheaded Evgeny with a rusted saw, an horrific task that took over an hour to complete on May the 23rd, 1996 (his 19th birthday) near the settlement of Bamut. His body, along with those of three other young Russian prisoners, was placed in a bomb crater outside the village of Alexeevskaya and covered up with lime and dirt. The Chechens preferred this atrocious method of execution because they followed a local superstition believing that a decapitated victim would not come for the murderer after death. Such is their barbarity that the Chechens would often record the executions. There are at least over 400 hours of such recordings on the internet of Russians being beheaded by Muslim Chechens. Russian troops occupied the village where Evgeny was murdered the day following the execution, too late to have prevented the deaths. 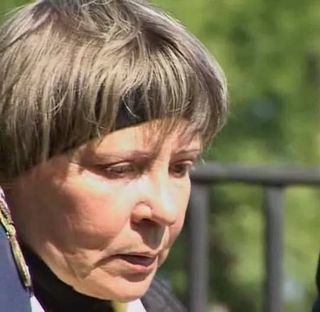 Rusland Haihoroev told Liubov seventeen times over the course of seventeen separate meetings, that she had born a bad son who refused to adopt Islam and join the separatists in their fight against Russia. “Your son had a choice to stay alive. He could convert to Islam, but he did not agree to take his cross off. He also tried to escape once,” said Haihoroev to Evgeny’s mother. She finally agreed to pay Haihoroev some 100,000 roubles (about US$4000) to take her to his gravesite in the forests outside of Alexeevskaya. This was money she did not have, so she had to sell her apartment to finance the deal. Liubov took Evgeny’s body away, along with the bodies of his murdered friends. She returned to Moscow with the aid of the Russian Orthodox Church and buried him. Sadly her grief was compounded because when Liubov Rodionova came back home, Evgeny’s father died five days after the funeral. He could not stand the loss of his son. Evgeny was posthumously awarded the Order of Courage by the Army. Liubov later returned to Chechnya on a second trip and recovered her son’s head. Haihoroev himself and his bodyguards were killed on August the 23rd, 1999 in a fire fight between his group and a rival Chechen band. The young soldier’s fate would have probably been forgotten, like countless others who lost their lives fighting the Muslim terrorists if a Central TV film crew had not come to the village where Evgeny’s relics now lie six years later to shoot a short report on a cross being raised to grace a cupola on a restored church. Parishioners told the reporters about the heroic deed of the son and the courage of the mother, who had buried him in his homeland. They filed the story as a separate report which was broadcast and received wide coverage. A year later a huge devotion to Evgeny had spread throughout Russia and the entire world. As his story has spread, pilgrims have begun appearing in the small village just west of Moscow, where his mother, Liubov, tends his grave on an icy hillside beside an old whitewashed church. Some military veterans have laid their medals by his graveside in a gesture of homage. People in distress have left handwritten notes asking for his intercession. 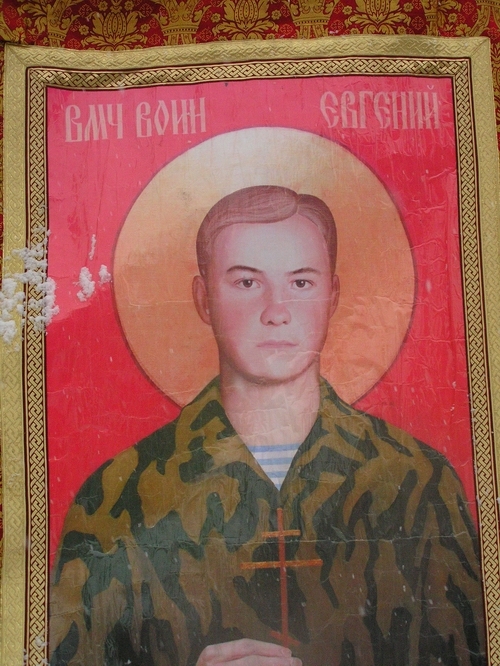 An icon of Martyr Evgeny Rodionov on a banner. Icons and pictures of this young man Evgeny spread around Russia very quickly and he was hailed as a New Martyr for Christ. In these icons sometimes he wears a uniform, sometimes a red robe (which is a way he appears in visions to the faithful, especially soldiers and children), sometimes armed, sometimes holding a Cross of martyrdom, but always with his halo. The picture distributed of him shows Evgeny wearing the cross around his neck for which he died. Miracles have been occurring in connection with Evgeny’s relics as well. 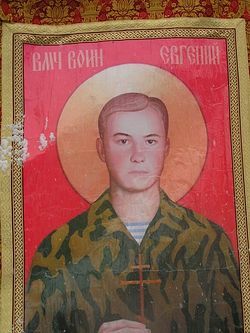 During a religious procession in commemoration of the New Martyr Evgeny on November the 20th, 2002 an icon of the brave young soldier started secreting sweet-scented myrrh. His own neck cross, the one that he refused to give up, his mother has donated to St. Nicholas Church in Ordinka, Moscow. Because of the huge devotion to the New Martyr Evgeny, the pious faithful have sought official recognition from the Moscow Patriarchal authorities but thus far no official glorification has been authorised. Evgeny’s biography, entitled The New Martyr of Christ, Warrior Evgeny, written by the priest Alexander Shargunov, was published in a booklet in 2002. The fifth edition was blessed by His Holiness the late Patriarch Alexey. In pamphlets, songs and poems, in sermons and on Web sites, the young soldier Evgeny Rodionov’s story has become a parable of religious devotion and Russian identity. Evgeny died on May 10/23. May those who read this article have pannikidas served for him on that day. And may we, dear brothers and sisters, learn from Evgeny’s constancy, dignity and bravery to face and overcome our own daily temptations to betray Christ. May we bear our cross daily and NEVER, EVER be ashamed to wear our baptismal cross and be ready at all times to defend our holy Orthodox Christian Faith by living a holy life in accordance with the commands of Christ. Liubov returned later to Chechnya to get Evgeny’s head. This was a very difficult task, and she met many obstacles, because of the Chechens' superstition about their victim’s heads. —Ed. Grozny, August 26, Interfax - Archbishop Zosima of Vladikavkaz and Makhachkala performed the first mass baptism ceremony in the history of Chechen republic in the river Terek of Naursky dirstrict. Can One Consider the Death of Father Daniel Sysoev to be a Martyrdom? 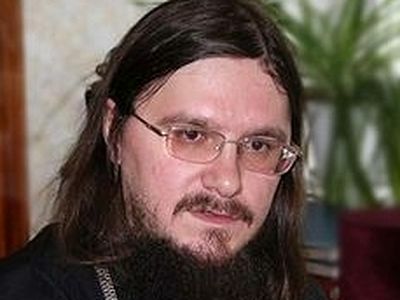 Hieromonk Job Gumerov Can One Consider the Death of Father Daniel Sysoev to be a Martyrdom? Father Daniel Sysoev carried out his missionary activity among Moslems. His Evangelical preaching was very successful: He converted and baptized many people; he received death-threats in response. His answer to such threats was to preach Christ with still greater zeal. He is truly the inspiration of the Orthodox youth here in Indonesia who are living in Muslim country. He taught us to defend our Faith despite in the threats from the neighbors. Although he has not been canonized in jurisdiction of my home parish but, he has already been as our Saint here. He is truly a Saint! Truly he is a Saint of the Universal Church. His story reminded me of St Alban, a roman soldier who died for his Christian faith. The story of this young man is truly inspiring. I firmly believe he is bathed in the love and light of our eternal God. He intercedes for his fellow soldiers. He knows their pain and anguish. A saint for all Christian soldiers. I'd like to get an Icon as well. Here in the US. I just want to tell you that I stand withyou. I am a Christian and American. I am a Christian first, then an American. Your people must wake up to the islamic problem. God bless you. Thank you very much for publishing this. will forward it on to as many people as posible. I will pray for his soul.